I’m one of the many that eagerly awaited Justin Timberlake’s new jams. In my book, the folks in charge of marketing his return to the music world have done an absolute top-notch job. His big return to the stage was a performance at the Grammy Awards in February. His performance was great, just what he needed to hype up his already much anticipated album and tour. After the performance, the Grammy’s broadcast went to a commercial break. In the commercial pod immediately after the JT’s “Suit and Tie” performance, there were two spots that had the best strategic placement I have witnessed. The first spot was for Target, which promoted itself as the place to purchase Justin’s new CD, with two additional tracks exclusive to Target. This placement was genius. The audience just witnessed a performance of two songs on this CD and it was followed up with the album release date and the place to purchase the exclusive version of the CD. The next commercial that aired was for Bud Light Platinum. This spot featured “Suit and Tie” in the background and ended with the couple going to a Justin Timberlake concert where the song was performed live, of course while enjoying their Bud Light Platinum. 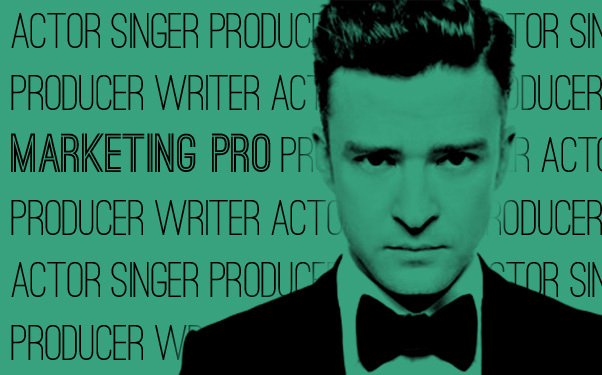 JT’s camp did a tremendous job of maximizing the anticipation of his new album, “The 20/20 Experience,” and licensing the song to the other two advertisers. The same is true for Target and Budweiser, to partner with the Justin Timberlake brand, but also in the placement of their messages. There is not a bigger stage for the music industry than the Grammy’s and they’ve separated themselves from their competition with excellent spot placement.